Quickly create quality certification reports that are precise, complete, meaningful, and statistically sound. Use excellent software capabilities to discover and quantify systematic and random measurement errors. Achieve high-level confidence in data accuracy and precision. 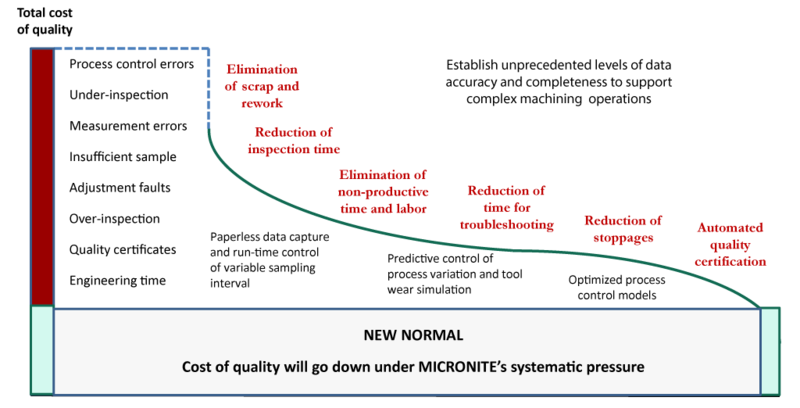 Certification of product quality is performed by MICRONITE’s Artificial Statistician. All in-process and offline data is filtered by operation, machine, inspection type, shift, date, etc. The TQA (Total Quality Acceptance) report guarantees extremely low risk of acceptance errors equally protecting producers and consumers against wrong decisions. 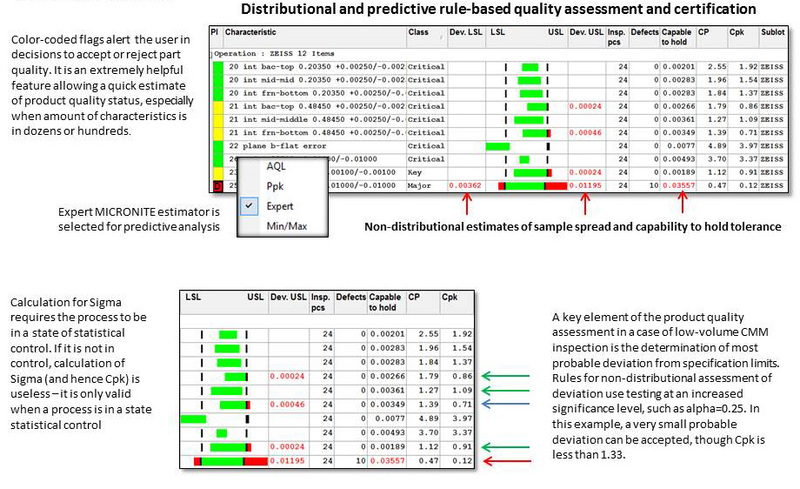 Combination of conventional distributional estimates (CP, Cpk, PP, Ppk, AQL for inspection by variables) and predictive non-distributional quality measures play an important role in achievement of reliability of statistical analysis applied to diverse machining operations.